The Fall 2018 edition of the History newsletter is available now here. The Spring 2018 edition of the History newsletter is available now here. History major Jennifer Arnold presenting work on topic modeling of UN speeches from 1970. 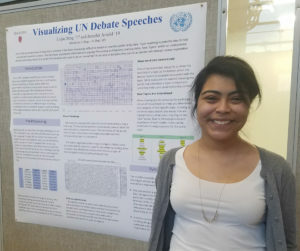 This work from her data visualization class with Bret Jackson gives her the framework she needs to pursue her research questions about the impact of historical events on Fidel Castro’s speech rhetoric. Students in Professor Amy Sullivan’s “Uses and Abuses: History of Drugs, Addiction and Recovery in the U.S.” received training in use of Narcan for opioid overdoses by Stephanie Devich of Valhalla Place/Meridian Behavioral Health. Twenty-seven kits were handed out to everyone. The Fall 2017 edition of the History newsletter is available now here. Tsione Wolde-Michael is a Macalester Alumna who was mentored by now-retired historians, Jim Stewart and Peter Rachleff. For six years, Wolde-Michael worked with a small team curating the Slavery and Freedom exhibition at the Smithsonian’s new National Museum of African American History and Culture in Washington, D.C. With her background in history, she researched the collected items and wrote much of the narrative on the museum’s plaques. She is also a PhD candidate in history at Harvard. Read more about her here. 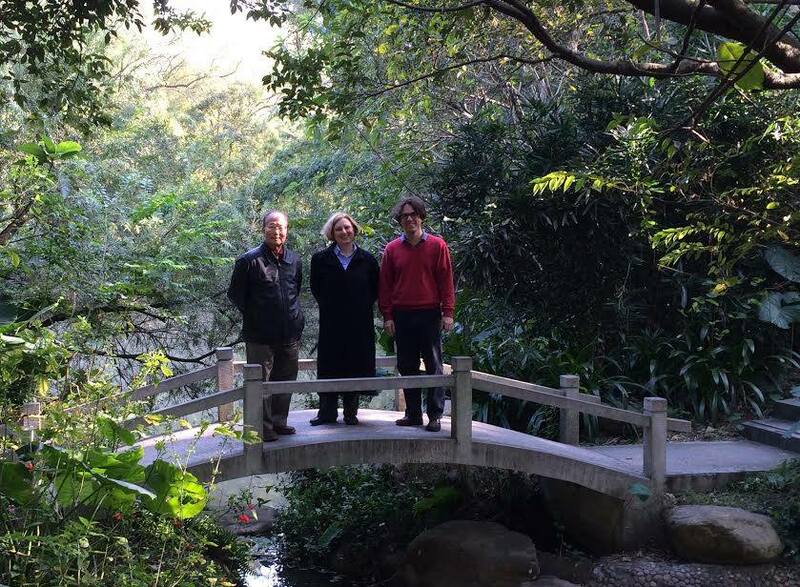 History professors Linda Sturtz, Yue-Him Tam, and Ernie Capello pose on a bridge in Guangzhou, China, where they traveled in mid-December to present at a conference. 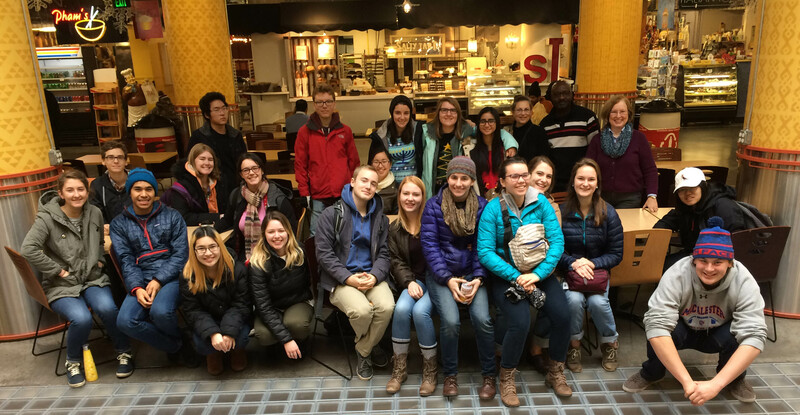 Linda Sturtz’s first year course (FYC) on The Transatlantic Slave Trade along with Joëlle Vitiello’s FYC on Food in French and Francophone Cultures took a field trip to Midtown Global Market to learn about African Foods from Jojo of Kilimanjaro Catering. The fall 2016 issue of “History Is All Over: The Macalester History Department Newsletter,” is available now, here. The newsletter has many pictures, plus stories about: Who’s New in History?, Find HISTORY OPPORTUNITIES and More on our Web Site, Upcoming HISTORY EVENTS, All about History Club, History Courses for Spring 2017, This Fall in History, After Mac, After Mac for Emeritus Professor Peter Rachleff, Reports on Alumni and Old News (Stories from Spring and Summer 2016). Alum Sam Haselby ’93 has recently had a book published, The Origins of American Religious Nationalism (Oxford University Press). Read his interview on the nature of Thomas Jefferson’s religious beliefs here. Jenny Brooks ’16 along with retired professor Jim Stewart served as advisors on a History Day project that resulted in this website about Malintzin and Hernando Cortes that competed at the Minnesota state level. Westenley Alcenat ’10 published an article titled “100 Years of Perpetual Occupation: Woodrow Wilson’s Legacy in Haiti.” on The Root website. The Root is a news, opinion and culture site for African-American influencers. Find the article here. Karlos Hill ’02 published an article titled “21st Century Lynchings?” in “fifteen eightyfour: Academic Perspectives from Cambridge University Press” blog. Find the article here. Emily Skidmore ‘04 was awarded the 2016 Audre Lorde Prize. The recognizes an outstanding article on lesbian, gay, bisexual, transgendered, transsexual, and/or queer history published in English. Find the citation here. New York-based Chinese TV’s “Sinovision Television” interviewed Professor Yue-Him Tam in June. The crew came to MN for a segment on “outstanding Chinese Americans” about Professor Tam and his role in strengthening Sino-American relations in the last few decades. Rondo neighborhood community members, and Macalester history students and faculty collaborated on a course this spring that resulted in the creation of an online museum. The Remembering Rondo History Harvest was designed as a way to address the often-limited histories available in museums and archives. Communities harbor their own histories and have stories that often do not get recorded. A model called History Harvest changes the dynamic of the archive by digitizing what the community identifies as culturally, socially, or politically valuable, pulling from items in their own homes and from their family histories. This year a team of students worked directly with the Rondo community, an historically Black neighborhood intentionally bisected by the construction of I-94 in the 1960s. The Remembering Rondo History Harvest process collected oral histories, and helped to develop new relationships between Macalester and our local communities. 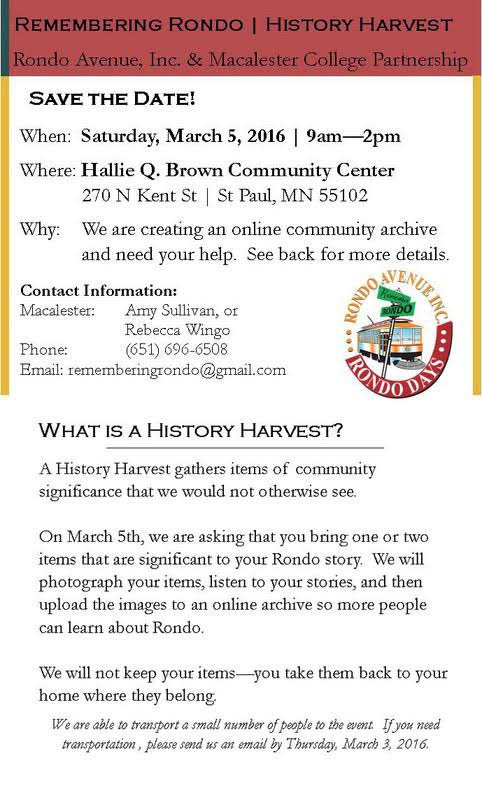 The “Remembering Rondo / A History Harvest” website can be found here. Three students: Kelsey Fox, Lizzie Hutchins, and Heather Johansen produced a film about the day of the Rondo History Harvest. The video can be found here. Professors Amy Sullivan (History) and Rebecca Wingo (Mellon Postdoctoral Fellow in Digital Liberal Arts) led the class. Paul Schadewald (Civic Engagement Center) and the History Department provided support. Students from Linda Sturtz’s “The Study of History” class visited the East Side Freedom Library in St. Paul. Kim Nielsen ’88 (center) gave a presentation on her latest research, “Diagnosable: Money, Marriage, and Female Insanity 19th Century America.” Kim was a history major at Macalester and is a professor in the disability studies program at the University of Toledo. The Macalester College History Department hosted an inauguration for The Teresita Martínez Vergne prize and research fund on Saturday, April 9. There was a public talk, followed by an unveiling of the prize plaque. Faculty and students came together to celebrate the continuation of Teresita’s legacy made possible through the prize and research funds, allowing the next generation of Macalester students, who did not have the benefit of knowing her, to still be able to have her positive influence in their lives. The Teresita Martínez Vergne prize and the research fund were established in 2014 in memory of Teresita, by her daughter, Irene. 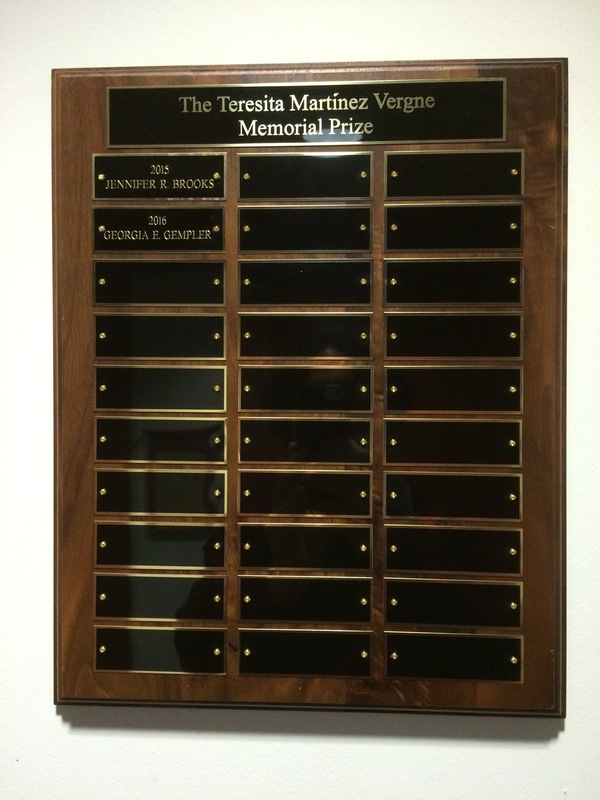 Read more about the Teresita Martínez Vergne Memorial Prize here. Read more about the Teresita Martínez Vergne Research Fund here. Professor Capello is a 2016 recipient of an American Council of Learned Societies Frederick Burkhardt Residential Fellowship for Recently Tenured Scholars. The fellowship is in support of research for his project, Equator Imagined: Commemorating Geodesic Science in the Andes, which he will pursue at the Institute of Latin American Studies at Columbia University in 2017-18. Professor Capello’s study will consider the commemoration of the Franco-Hispanic Geodesic Mission (1736-42), when an international group of scientists led by the Frenchman Charles Marie de La Condamine traveled to the Spanish colony to measure the arc of the equatorial meridian. The mission was commemorated through the elevation (and destruction) of pyramidal markers, Andean landscape paintings, a second French scientific mission redoing the 18th-century measurements, the development of modern tourist sites, and a counter-memorial tradition celebrating indigenous geodesic and astronomical knowledge. Students in the “Public History in Action-Remembering Rondo” class, led by professors Amy Sullivan and Rebecca Wingo, hosted a digital and oral history gathering “History Harvest” event on March 5. Listen to the story that aired on Minnesota Public Radio’s All Things Considered here. Professor Yue-Him Tam gave a welcome speech and explanation of the Lunar New Year Festival at the Chinese Lunar New Year Festival Gala at University of Minnesota on behalf of the host organization CSSA (Chinese Students and Scholars Association). 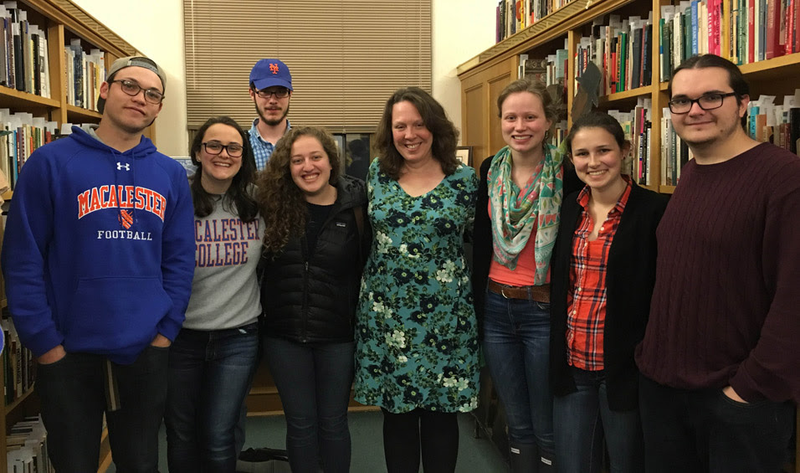 Macalester students attended the gala to facilitate further interactions between the students of the two schools. Read this article about a “StoryMap” assignment for students in the fall 2015 “Transatlantic Slave Trade” history class. An “Opportunity Updates” section is now available on our website. It’s a place to look for nice-to-know things that our department is often asked to share with our students: calls for papers, internship opening notices, recruiting, grad and study away program notices, and more. Find It Here. Bassam M. Khawaja ’11, has been named a Sandler Fellow at Human Rights Watch. He will work in the Children’s Rights division there documenting the denial of education to children seeking refuge from the civil war in Syria. 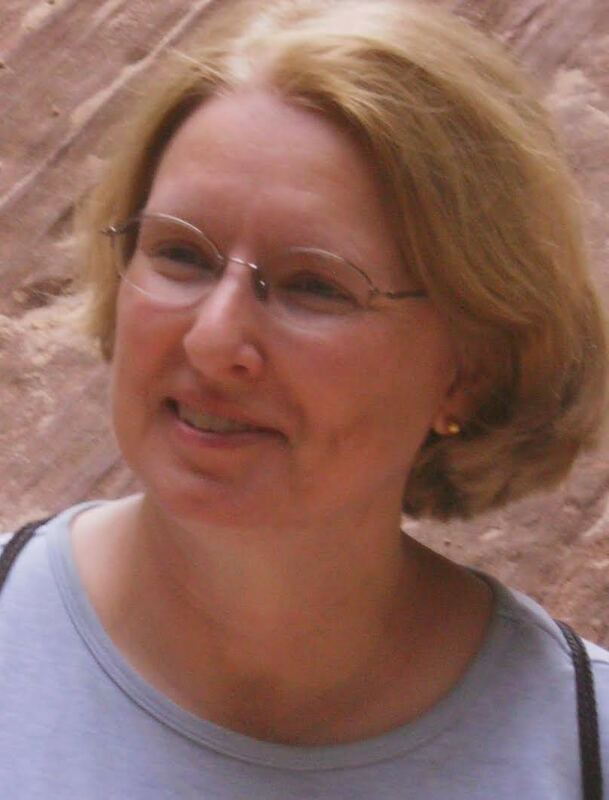 Professor Linda Sturtz joined the history faculty this fall. She will serve as department chair. Professor Sturtz’s work examines the history of early North America and the British Caribbean within an Atlantic world context. She has taught courses on the early modern Atlantic world, music as history and public history. Prior to coming to Macalester, she taught at Beloit College and in the Associated Colleges of the Midwest Newberry Library Program. She once worked as a Park Ranger at Colonial National Historical Park. Her first book, Within Her Power: Propertied Women in Colonial Virginia (Routledge, 2002) took a longue-durée approach to understanding the ways that law and transatlantic trade shaped the opportunities of women. Her current research focuses on the ways that African-Caribbean women sought to cultivate an expressive culture within a slave society and into how their tactics adapted to new forms of social control in the aftermath of abolition. We are very pleased to welcome her. 2001 history major, Annie Silverstein, won the Cinefondation best student short film prize at Cannes. Fisher, Jerry K. Beloved Macalester College professor and internationally recognized cross-cultural educator, passed away peacefully on May 8. Survived by his wife, Aiko; son, Andy; daughter, Cindy Wilson (Bert); 3 granddaughters, Kylie, Sarah and Naomi, and sister, Peggy. Born in Ashland, WI in 1937, and preceded in death by parents, Robert Warren Fisher and Lois (Carroll) Fisher of Beloit, WI, and brothers, Robert and Donald. Memorial service to be held at Macalester College’s Weyerhaeuser Chapel, 1600 Grand Ave., St. Paul, on Sunday, June 22 at 2:00 PM. A notice also appeared in the May MacWire and the Macalester Daily Piper. Cat Jacquet, History will present “Teaching Transgender History: Challenges and Surprises.” Jacquet will discuss her experiences teaching courses on transgender history for two semesters at the University of Illinois at Chicago, and now for the third time at Macalester. Teaching these courses has been a labor of love, yet it has also presented her with challenges unique to teaching about sexual and gendered minorities. Jacquet will reflect on the challenges and surprises that have presented themselves along the way she’s had to rethink her own basic assumptions and naïve expectations. 12:00 PM – 1:00 PM, Friday Apr 4, 2014, Jan Serie Center for Scholarship and Teaching (Room 338), DeWitt Wallace Library. All faculty are welcome. Lunch will be provided. Alumna Jemma Brown ’11 has been hired as Associate Producer of Video & Social Media at The Moth. History grad Olivia Belote ’11 provided a little focus for a Minneapolis Star Tribune weather photo on February 21. See the story in pictures that developed on that snowy day. “The Weather is Fine” story that appears on Macalester’s March home page features history major Ross Bronfenbrenner ’14. The story links to his blog about our (not so rotten) weather.